In order for global climate change policies and efforts to progress, intense local activism and countries most adversely affected by climate change must play a leading role. If they don’t, an upcoming meeting of state parties to the United Nations Framework Convention for Climate Change (UNFCCC) in South Africa will be a conference of “paralysis” and “profiteers”, says Patrick Bond, climate justice expert and author of the book “Politics of Climate Justice” coming out in November. “The elites have defaulted on their chance to solve the climate crisis,” Bond believes. On Dec. 17, during the Conference of the Parties (COP17) to the UNFCCC, 194 countries will assess global progress in dealing with climate change. In particular, they will negotiate and agree upon binding targets for reductions in greenhouse gas (GHG) emissions for the second commitment period of the Kyoto Protocol, which will steer international efforts in climate politics for the next four years. Previous conferences have depicted and conceptualised climate change as a problem that has primarily an economic impact, due to the ideology that “you must always fix a market problem with a market solution”, Bond said. As a result, discussion about using carbon markets, where emissions are traded back and forth, as the primary tool to manage climate change is dominant. Bond spoke to UN correspondent Rousbeh Legatis about countries of the South — pivotal actors in future climate policies — and their prospects and needs. 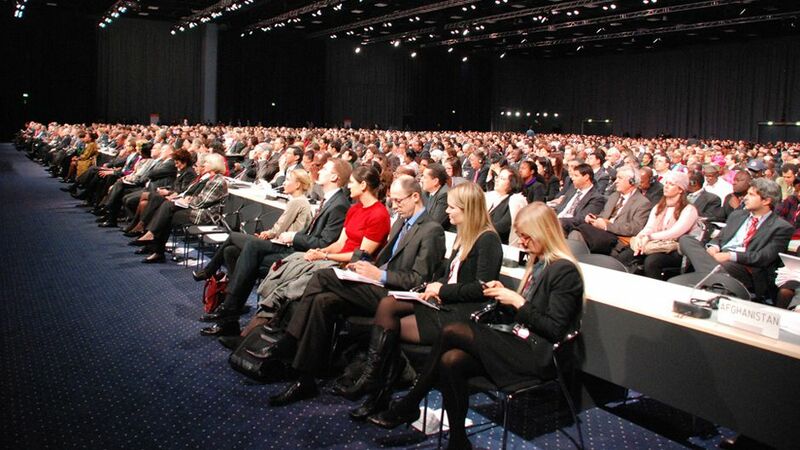 Q: When it comes to climate change, you have seen conferences where empty promises are a dime a dozen. What is needed in Durban in December to achieve an outcome that breaks with the business-as-usual approach? A: What is needed, based on past performance, is for the delegations from Washington, Ottawa, London, Brussels, Tokyo, Moscow, Delhi, Beijing, Brasilia and Pretoria to stay home, and let the main victims of climate change establish the rules by which the big polluters stop what they’re doing and pay reparations to everyone else — and also establish an International Climate Court to impose sanctions and penalties on those who fail to abide by a planet-saving solution. Although many activists in these cities will appeal to their leaders to stay home in the interests of a breakthrough outcome to COP17, they will be ignored, as usual. We need activists from Africa and across the world to unite for climate justice solutions, to keep fossil fuels in the soil through direct action such as we saw earlier this month at the White House (1,252 arrested for protesting Obama’s tar sands oil pipeline), and to generate just transition strategies away from the climate-threatening energy, transport, extraction, production, distribution, consumption and disposal systems (now in place). Q: Global elites, as you say in your book, have failed to arrange a “genuine solution to the climate crisis”. How would such a solution look and why they have failed? A: The most destructive global elites are those in the fossil fuel sector and their allies at the World Bank and in the U.S. White House, State Department and Energy Department, as well as in Canada’s Tory government and tar sands extraction industry. They are intent on expanding greenhouse gas (GHG) emissions as far as possible. The solution should follow the precedent of the Montreal Protocol in 1987 when it came to saving the ozone hole from chlorofluorocarbons: ban CFCs outright after an appropriate phase-out period (in that case, nine years). But market ideologues and fossil fuel industries won’t allow that, so the delegates are hamstrung and we are fools if we think they have the wherewithal to address climate change through the UNFCCC, given the current adverse balance of forces. Q: Do you see burdens and responsibilities being properly shared among affected countries, the international community and states mainly responsible for climate change? A: Climate debt is the concept we need to understand, as a component of ecological debt owed by the North to the South. What we all know is that the responsibility for climate change lies with the global North, which of course includes companies that operate irresponsibly in the South – such as BHP Billiton and Anglo American here in South Africa, which get the world’s cheapest electricity and then export their profits to Melbourne and London, respectively. The burden sharing here, climate activists agree, should be a shutdown of the old apartheid-era special pricing agreements that give these companies their climate-destroying hyper-profits, so that instead the vast majority of people can have access to more free basic electricity than the present tokenistic 50 kilowatt-hours per household per month. This is not just a ‘third world nationalist’ demand. The climate debt — probably upwards of 400 billion dollars per year by most estimates — should not be paid via tyrants, such as Ethiopia’s Meles Zenawi or Swaziland’s King Mswati. Instead, direct payment mechanisms similar to the Namibian-style ‘basic income grant’ should ensure that those who have been harmed by climate change — most of Pakistan last year, for instance — will be reimbursed through local funds transfers directly, bypassing corrupt states and aid industry middlemen. Q: What about emerging economies and now simultaneously major GHG emitters on the global level? What role do they play? A: The best thing would be for a government like South Africa’s to let those weak countries who will be most adversely affected — in the Andes and Himalayas when glaciers and snow packs melt, the sinking small islands, much of drought-ravaged landlocked Africa, places suffering terribly from rising sea levels like Bangladesh — lead the process. The Bolivians have the best track record, and they also developed a Cochabamba people’s agreement in April 2010 that should, in a just world, replace the Kyoto Protocol. Instead, the BASIC countries decided to gaze upwards and unite with the US in Copenhagen, for self-interested reasons. This disqualifies them from being part of the solution. So the appropriate role for negotiators in the emerging economies is to apologise for the Copenhagen Accord and for subsidising multinational corporations with electricity, ultra-cheap labour and externalised pollution — and turn over climate policy to the climate justice movement who have the ideas required to properly address the crisis. Rousbeh Legatis reports for Inter Press Service agency, which includes 370 journalists in 330 locations in over 130 countries worldwide.